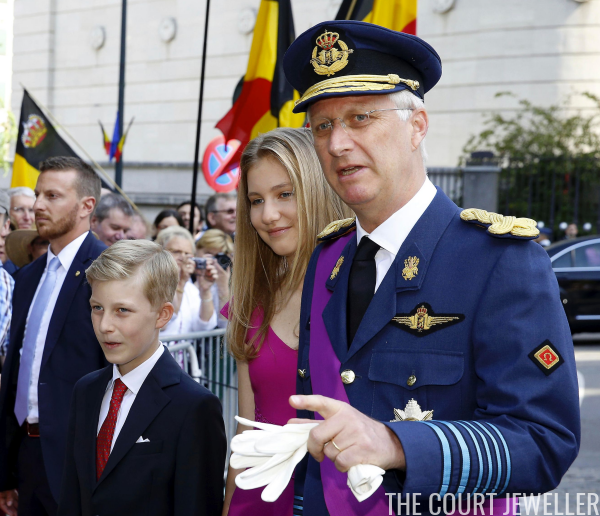 Today is National Day in Belgium, and the royal family attended a Te Deum mass in Brussels to mark the occasion. 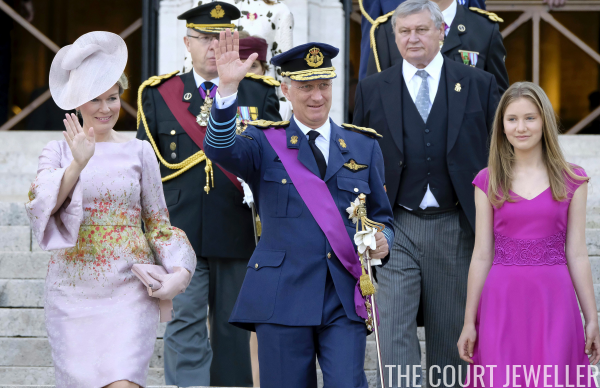 Here's a look at what everyone wore, including Queen Mathilde's jewelry! 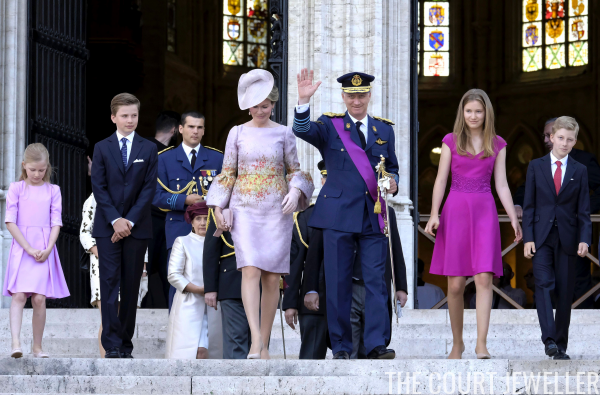 The royal family spreads out to various parts of the country for these special thanksgiving services; I've got images to share of the immediate family attending a service at the Cathedral of St. Michael and St. Gudula. 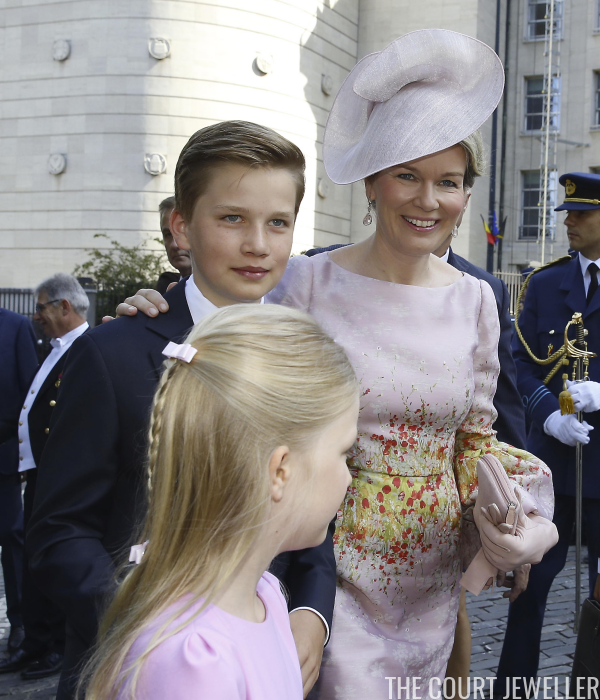 Queen Mathilde, here with Prince Gabriel and the back of Princess Eleonore's head, wore pink gem drop earrings. 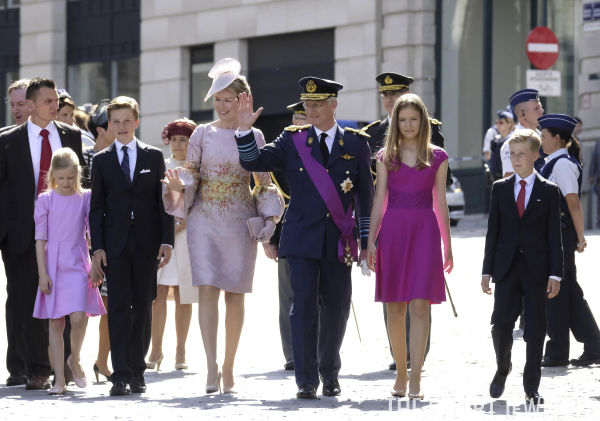 And here's another look at King Philippe with the Duchess of Brabant and Prince Emmanuel.